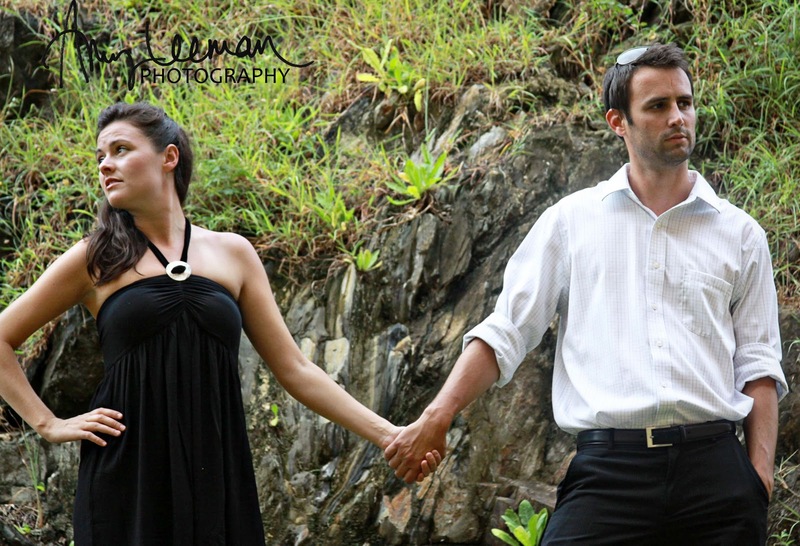 While in St. Thomas last week attending my cousin's wedding (see the post below) I seized the opportunity to photograph one of the most beautiful couples on the planet. Yes, I know that is a bold statement, but if at the end of this post you don't believe me, I will issue you a full refund ('but Amy, this blog is free' 'yeah I know' :-D). Mrs. Tomlinson is my cousin and one of my most favorite ladies in the world. Growing up, for all intents and purposes, she was my sister. We lived four houses and two camps down the road from each other, I dare say we spent every weekend for the first 12 years of our lives at one another's houses, she would make me sandwiches that always tasted better than mine, we would lip sync until we were told we were too loud (yeah sometimes we didn't 'lip sync' all that well), we built cabins in the woods, discovered make up, hair accessories and boys, we did everything together. Then we grew up and life happened, we no longer talked everyday, knew what each other ate for supper the night before and didn't even think to ask what each others favorite songs were. Kind of sad really. But you know what? You have very few people in your life where you can go months without speaking to, almost years without seeing, and the moment you embrace one another face-to-face, it's like no body ever left. You can pick up right where you left off, nothing feels out of sorts, it is... I can't think of the right word... so I am going to say comfortable. It's comfortable! Okay, before I start slobbering and getting tears all over my keyboard... Let's get back to the gorgeousness. Mr. & Mrs. Tomlinson thank you for 1) being who you are as people and as a couple, 2) letting me pull you away from an awesome wedding reception, and 3) for kissing by the vending machines. Cheers! You are correct...THAT is a VERY BEAUTIFUL couple! They are very lucky to have had the opportunity to have you take pics of them!! I do hope they know you are hard to get!